Play with Colour. Bold colours can become statement floors in their own right and they can also be a solid base for a designed space with a mixed palette. The Colour collection can also be combined with either Shade or Marble, as elements from the Colour collection can provide subtle highlights or accents within a more muted floor plan. 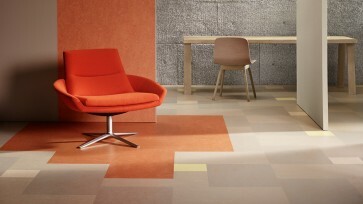 Available tile formats vary by colourway. Please see below for each individual colour details.